You’ll be warmly welcomed and made to feel at home in our Cheshire office. If you’ve already completed your admitting paperwork, great! If not, after doing so we’ll likely show you a short 5-minute video and then you’ll meet Dr. Luigi DiRubba. The doctor will sit down and have a brief consultation with you in order to get in depth information regarding your problem. This will allow the doctor to determine which exams and x-rays need to be performed. 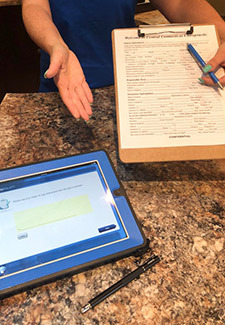 The exam will include a computerized sEMG test, appropriate Orthopedic/Neurological tests, Motion/Static palpation. This will help in making the appropriate diagnosis. 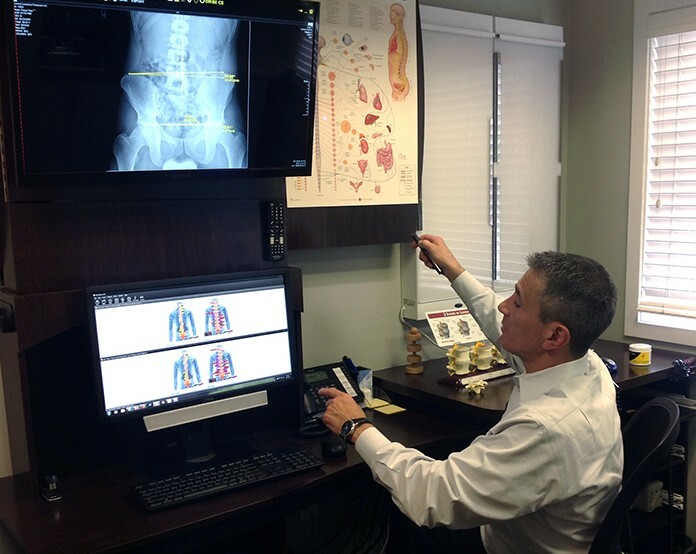 The appropriate x-rays will be taken to provide the doctor with valuable information regarding the health of your spine and help rule out more serious conditions that may need other types of treatment. X-rays also help in determining the appropriate treatment plan for your condition. The purpose of your consultation with the doctor is to discuss your health goals and see if chiropractic is likely to help you. If your case looks promising, a thorough examination will help identify the cause of your problem. Our Cheshire area patients appreciate that we explain everything in advance!